No Log is required. Just be sure to state which award you claming. 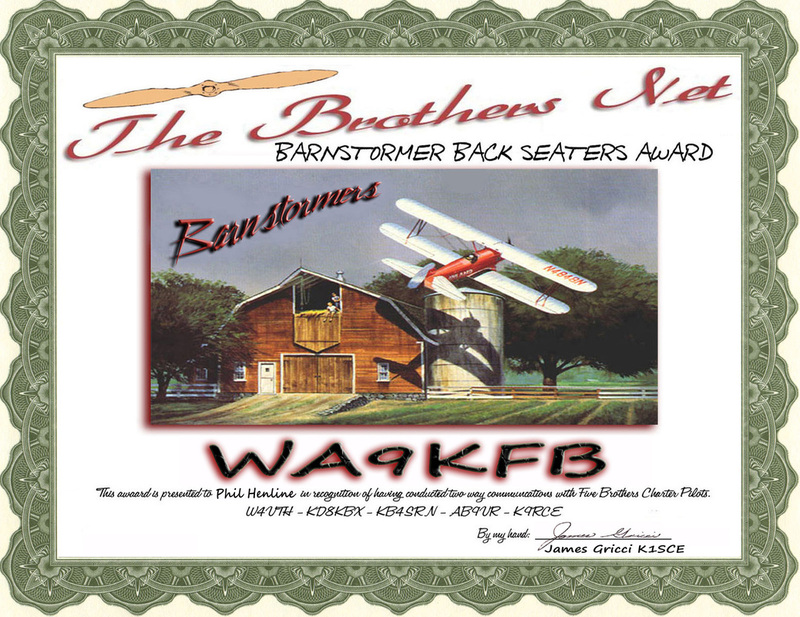 To collect this award you must make contact with Five Barnstormer Pilots, from the list below. Once you have made your five contacts from the list below. Once you made your 5 contacts. 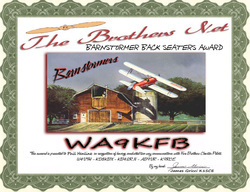 Send $3.00 for your Barnstormer award. 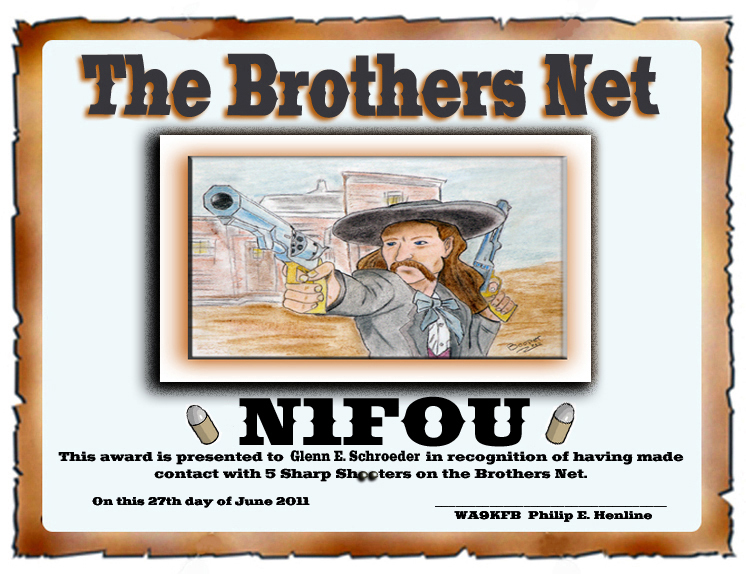 To collect this award you must make contact with Five Sharp Shooters from ths list below. Once you have made your 5 contacts. Send $3.00 for your Sharp Shooter award. To collect this award you must make contact with Five Master Fishermen from the list below. 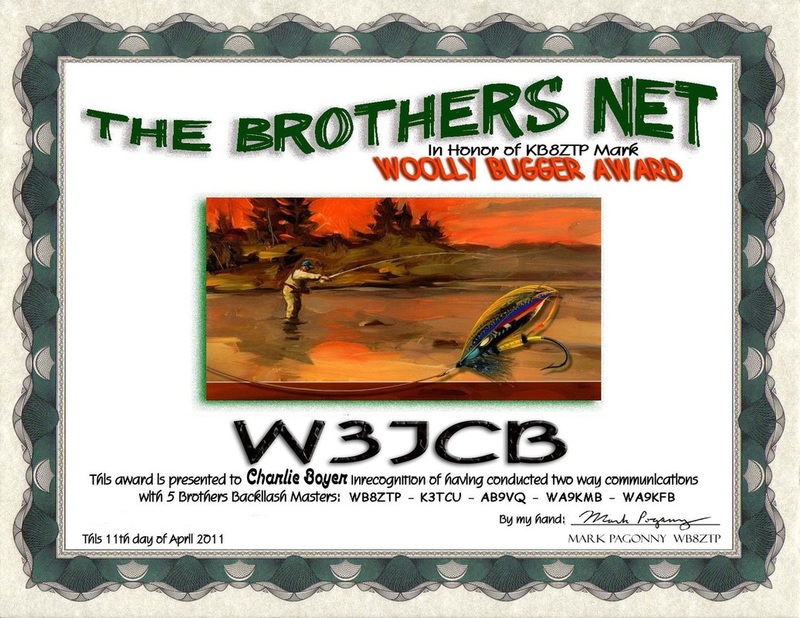 Send $3.00 for your Wooly Bugger award. To collect this award you must make contacat with Five Master Chefs from the list below. 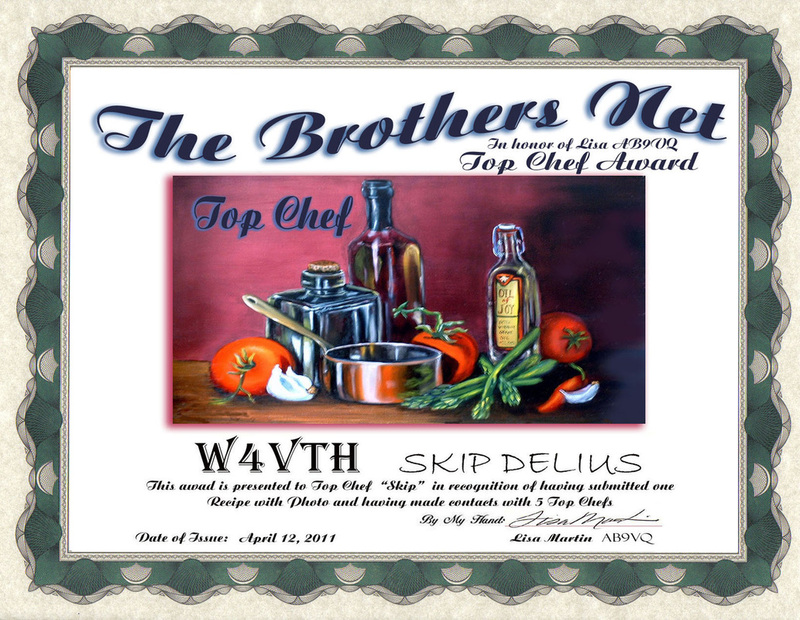 Send $3.00 for your Top Chef award.